Family ties in a successful business have led to North Staffordshire’s Rydale Roofing to be shortlisted in the Midlands Family Business Awards 2017. 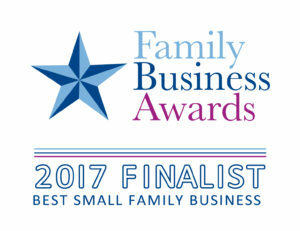 Rydale Roofing has won recognition in the Small Family Business category of the longstanding awards programme celebrating family businesses. The Silverdale based roofing specialists is run by husband and wife, Michael and Julie Mirowski and was named in honour of their two sons, Ryan and Dale. Both Ryan and Dale now play a major part in the business as do their partners, who are both called Samantha! Rydale Roofing is known for its commitment to staff training and development and was the only North Staffordshire business to achieve Gold Excellence accreditation from the National Federation of Roofing Contractors in 2015, 2016 and 2017! The Midlands Family Business Awards celebrate the major influence that family firms have on the UK economy. Around 65 per cent of private companies in the UK are considered to be family businesses and they are believed to generate around a quarter of the UK’s GDP (Gross Domestic Profit). A family business is defined as one where two or more family members are involved and control lies largely within a family. The Midlands Family Business Awards were created by The Wilson Organisation, a third generation family business, providing insurance and financial solutions to businesses across the Midlands and UK. The winners will be announced during a gala dinner at the Velodrome, Derby, on 9 November.